I am taking a break from challenges for this year. 39/12 - 325% - Holy Smokes!! Read and review 12 paranormal novels between the dates of January 1, 2013 - December 31, 2013. Read and review 12 novels that have been in my TBR pile (books released in 2012 or earlier) between the dates of January 1, 2013 - December 31, 2013. Read and review 12 young adult or middle grade debut novels between the dates of January 1, 2013 - January 31, 2014. Read and review 12 dystopian novels between the dates of January 1, 2013 - December 31, 2013. 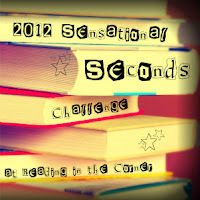 Read and review 12 young adult or middle grade debut novels between the dates of January 1, 2012 - January 31, 2013. Read and review 12 young adult or middle grade sequels/companion novels between the dates of January 1, 2012 - December 31, 2012. Read and review 12 novels that have been in my TBR pile (books released in 2011 or earlier) between the dates of January 1, 2012 - December 31, 2012. Read and review 10 young adult or middle grade novels that incorporate any type of mythology in the story line (Greek, Egyptian, Norse, etc) between the dates of January 1, 2012 - December 31, 2012. 78/35 - 223% - Holy Smokes!! 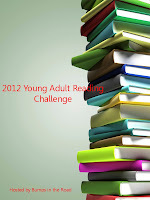 Read and review 35 young adult novels between the dates of January 1, 2012 - December 31, 2012. 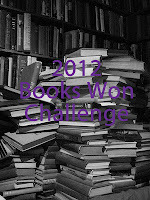 Read and review books you've won between the dates of January 1, 2012 - December 31, 2012.